SRL was recently banned from performing in San Francisco by the SF fire dept. In December 2011, Somarts, a local gallery venue,/arts support organization in the city asked SRL to participate in I am Crime, a show of artists who had been arrested for activities related to their work. The SRL participation was to have included an installation of one machine, the Spine Robot in the gallery and a one day street closure of Brannan Street between 8th and 9th for a short outdoor SRL event at the closing of the installation. The city of SF approved the street closure, but the SFFD, citing an SRL show from 1989, Illusions of Shameless Abundance stated that SRL would no longer be allowed to perform in San Francisco. This resulted in the outdoor show being called off by Somarts. 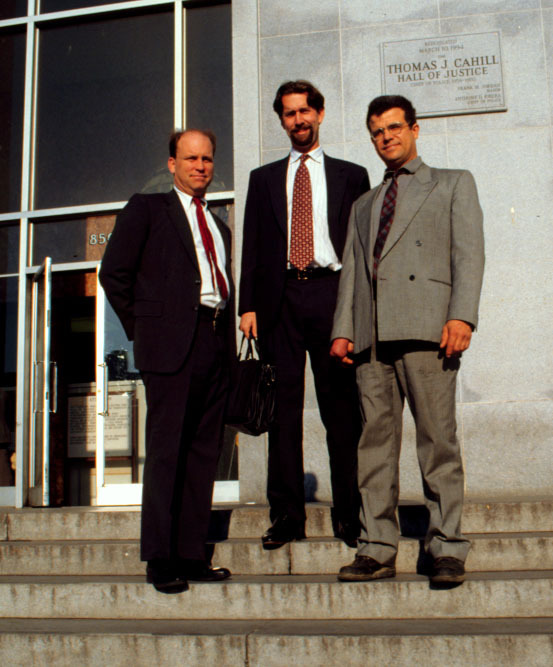 SRL then staged the Crime Wave show in 1995 after which Mark Pauline and Mike Dingle were promptly arrested and questioned by local authorities and the FBI and later charged with arson and the use of explosives to endanger the public, the charges being directly filed by the SFFD top brass. Later the SFFD directly or indirectly banned 3 more SRL events. One in Phoenix Arizona in 2000 when the SFFD heard of the show and contacted the Phoenix Fire dept to advise against allowing it to proceed. Then in 2005 in SF, at a large outdoor event at the Candlestick park parking lot, the SFFD intervened to insist that the audience remain at least 300 ft from the edge of the SRL event area, essentially leaving no space in the lot for the rest of the event to occur. Finally in 2006, SRL had a show in Las Vegas through the University of Las Vegas Gallery that was thwarted by the SFFD when the Las Vegas Fire Dept contacted the SFFD for a reference on SRL, received an earful and backed out. SRL would love to perform our fantastic entertainment fantasies for the residents of SF but for now we remain, banned in San Fran. The word is out! Thanks Laughing Squid and BoingBoing for spreading the word!